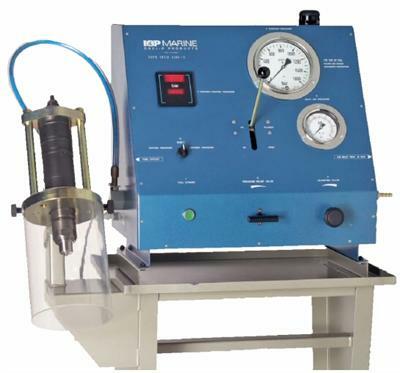 Fuel injector test rig with digital read-out. For test of fuel injectors for 2- & 4-stroke engines. VPUD 1000 approved and recommended by MAN Diesel. Using VPUD 1100 MKI and MKII for MAN slide valves can damage the valves. Use the PPMI 1000 to use the VPUD 1100 for MAN slide valves.